Eric Higgs wants to know why you aren’t retreading your tires. The fact of the matter is that while 90% of fleets with 1,000 or more trucks retread tires, at the other end of the spectrum, only 34% of fleets with one to four trucks and 55% of fleets with five to 24 trucks retread. 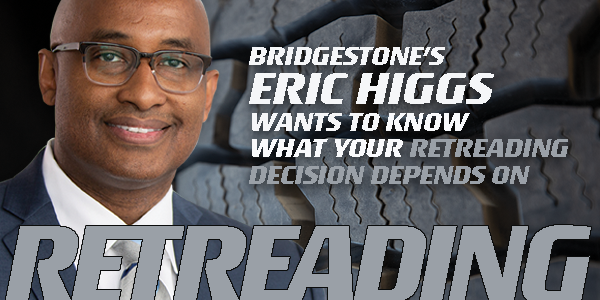 As president of truck, bus and retread tires for the U.S. and Canada at Bridgestone Americas Tire Operations, Eric knows all of the reasons why the industry doesn’t depend on retreads as a whole, but he wants to know why you—you, specifically—aren’t retreading your fleet’s tires. Because he wants to change your mind. Eric is a unique hybrid of marketing genius and engineering prowess. 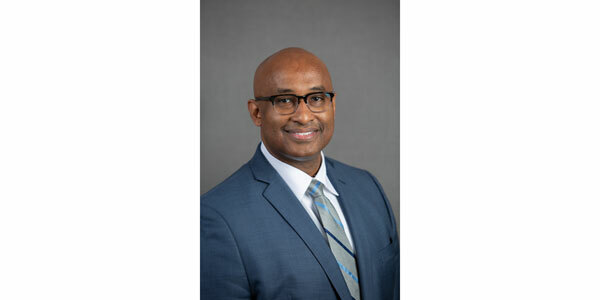 He started his career in engineering and manufacturing, sharpening his understanding of the scientific method for approaching product development and improvement. He made the jump to marketing when he grew restless in the engineering field and found that fixing people’s problems can be even more rewarding than fixing product problems. Offer accepted. You know what your fleet spec’ing and maintenance needs depend on, and while every fleet is different, you could likely boil it down to safety, ROI and maintenance. So let’s put those questions to Eric and see what happens. Safety: Are retreads really as dependable as a new tire? Safety is huge. Today’s equipment landscape is focused on improving your fleet’s overall safety—from advanced driver assistance systems that aim to reduce or mitigate rear-end and lane departure events to the incremental, year-over-year increase in air disc brake penetration percentages. Tires are one of the biggest wear components and are subject to extreme road hazards—not to mention being your top cost next to fuel. It’s a component category whose dependability you don’t want to question. Eric understands that the biggest hurdle to overcome in the retread conversation is the assumption that a new tire is more dependable than a retreaded tire. To address that, he switches gears from the emotional to the logical and drops a hefty 24-page research document, filled with more than 22 references and a host of data points, on the table to disprove that assumption. For example, the National Highway Traffic Safety Administration and the University of Michigan Transportation Research Institute surveyed 85,000 lbs. of scrap commercial tire debris and 300 tire casing, and they found that road hazards and poor maintenance were the primary causes of tire failure. For context: 21% of the tire fragments tested were from original tires and 79% were from retreads, and 60% of the tire casing tested were new tires and 40% were retreaded tires. Here’s the challenge with data and research: it’s disappointing. It tells you that your assumptions are wrong. It’s easy to see tire gators on the side of the road and say, “That’s a retread,” but a tire’s life is more complex, nuanced. The actual answer for the gator could have been that the tire hit a giant nail, or it wasn’t pulled at the proper wear depth, or it was underinflated. We can’t know for sure why that specific tire debris was there, but what we do know—what Eric knows—is that he’d put his money on a road hazard or poor maintenance as the cause because that’s the why the majority of tires fail. ROI: Retreads can’t be as efficient as new tires, right? So fine, retreads are safe. Or you’ll at least give Eric the benefit of the doubt for argument’s sake, because while the data might tell you logically that they’re just as safe, you won’t feel good about it until you experience it. Remember: we’re emotional beings. We want to feel good about the decision. If the only way to truly accept that retreads are just as safe as new tires is to experience it, then Eric has to at least make you feel better about the cash you’re shelling out for retreads. And it has to be less to feel good. That’s all well and good, but how many times can you retread a tire? Great, but how about operational efficiency—low rolling resistance and the like? Cutting-edge technology goes into new tire development—can the same be said for retreads? Eric points to the SmartWay verification standards for retreads, which are subject to a rigorous testing method put forth by the Environmental Protection Agency (EPA). This includes testing using the ISO 28580 method, on an 8.25-in. test rim and a 2-meter drum (or a drum that follows the drum diameter correction protocol). The load used is 85% of the maximum load of the tire capacity and a capped inflation pressure corresponding to the maximum load capacity as marked on the sidewall for single load application. A minimum of three retreaded tire tests are required and the average test result for rolling resistance coefficient (kg force/metric ton) for testing a casing must be at or below 7.0 for drive tires and 6.0 for trailer tires, and alternate casing coefficients must be at or below 6.5 for drive tires and 5.4 for trailer tires. Maintenance: Doesn’t retreading require too much casing management? You’ve come this far. If you’re willing to give retreading a shot, then now comes the seemingly painful part: actually doing it. The ability to maximize your tires’ retreadability rests on your ability to maintain the casing across multiple lifecycles. That means ensuring that you don’t fall into that aforementioned “improper maintenance practices cause a majority of tire failures” trap. “Take a new tire off, put a new tire on” is definitely an easier (albeit more costly) process. What do you say to that, Mr. Higgs? “Our servicing dealer network plays a huge role in delivering tire management service in a way that simplifies it for you,” he says. “Large fleets have programs in which we manage the casings for them. Like nearly all things in the truck equipment world, data is driving the development of intelligent solutions to help both you and your suppliers manage total cost of ownership (TCO). 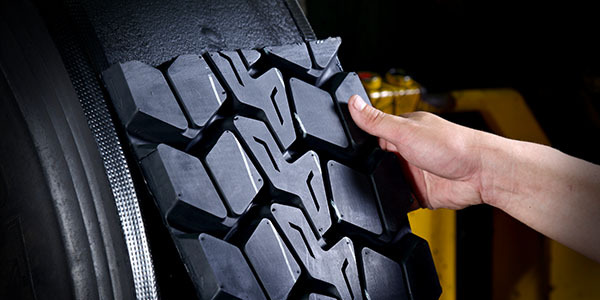 That’s why Bridgestone is developing its IntelliTire platform—a tire management analytics system that starts with etching a QR Code into tire casings manufactured by Bridgestone and extends to tracking the life of that tire from its conception to its application. The IntelliTire platform is currently in pilot testing, and Eric is tight-lipped about when it will be widely available, as Bridgestone is busy answering the questions for itself that Eric anticipates coming from his customers. The goal, however, is clear: help you reduce TCO even further. Doing something different. When it comes down to it—whether you’re adopting a new technology or investing in a time-tested process like retreading—doing something different is the hardest part. You have to know and feel that you’re doing it for a reason—the right reason. So what do you think? Are you going to start retreading? For more on this topic, check out Retreads and data: A case for open platforms.